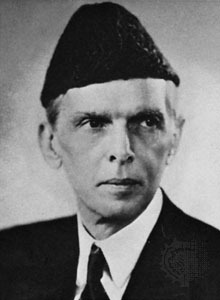 The founder of Pakistan, Muhammad Ali Jinnah, is much like Thomas Jefferson, author of the Declaration of Independence and intellectual behind the American Revolution. Both men were educated, trained as lawyers, and powerful figures behind the independence movements of two countries, Pakistan and the United States of America. At the moment, Jinnah is in the news because his home in Balochistan was attacked by extremists who do not share his vision for a pluralist Pakistan. Jinnah’s home burning is like seeing Thomas Jefferson’s Monticello, a beautiful estate in Charlottesville, Virginia, being torched by radicals for the same reason. To elaborate on the shared vision of Jinnah and Jefferson, I turn in the spirit of respect and tolerance to Professor Akbar Ahmed of American University. Professor Ahmed has published two important articles on that matter. Hopefully this piece can serve as a more positive story in light of the Jinnah home burning. 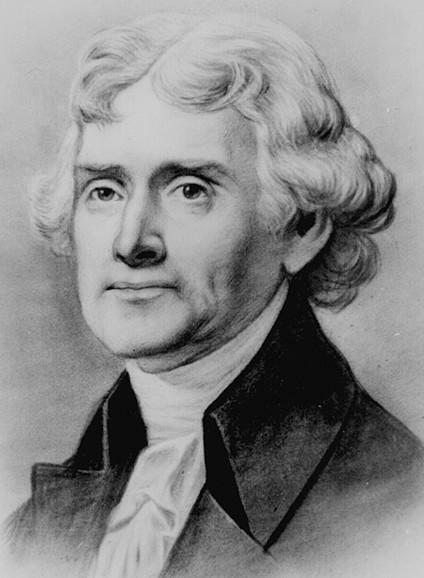 On Sept. 11, the world of Thomas Jefferson, founding father of the United States, and that of Muhammad Ali Jinnah, founding father of Pakistan, came dramatically and tragically face to face with each other. The events of that day would impact their societies in ways the respective founding fathers could not have imagined. America launched its war against terrorism. The immediate target was the Taliban regime and the Al Qaeda organisation in Afghanistan. Considering that the Taliban were nurtured and educated in neighbouring Pakistani schools and the movement had been supported by Pakistan, the role of that country in America’s war became crucial. 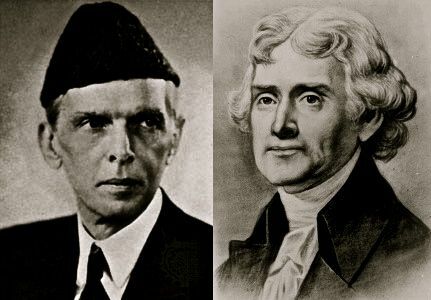 Jefferson and Jinnah, two leaders working in two different cultural contexts on two different continents, and yet both echoed ideas of liberty, religious freedom and the importance of education. Their example suggests that these ideas are universal, transcending culture, religion and nation.